Engnes is a 22-year-old “ninja” and youth program coordinator at Obstacle Academy, an “American Ninja Warrior”-inspired training facility in Edina. He teaches young people how to be ninjas. 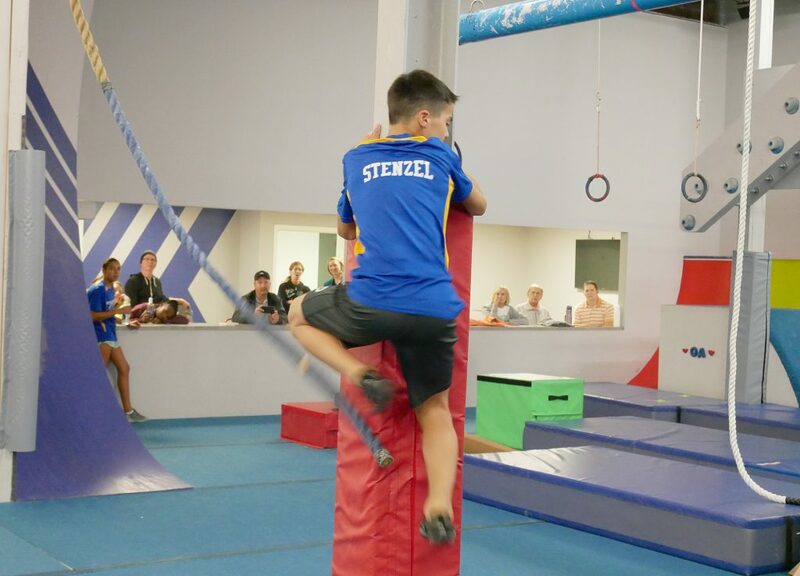 in local training facilities such as Obstacle Academy, a non-affiliated gym that has developed competitive youth teams. On American Ninja Warrior, contestants attempt to cross an obstacle course as fast as they can without falling off the course. One by one, athletes attempt to complete the obstacles with faster times than their opponents. Other facilities, such as Conquer Ninja Warrior and Ninjas United, also have youth programs. The youth teams at Obstacle Academy, made up of kids ages 6 to teenagers, practice together twice a week. Training sessions are aimed at preparing the Academy’s ninjas for youth competitions, which have been popping up more around the country in the past two years, according to Engnes. Youth members are encouraged to compete in monthly competitions throughout the region. In preparing for the events, young people are put through difficult training sessions. The ninjas alternate multiple times between completing a practice course and doing push-ups, pull-ups and core workouts. They try to complete courses while they are tired to simulate a real competition, in which nerves play a factor. Completing a course is also a mind game. Engnes conditions his young team to decide on a plan of attack before starting the course. They look for places to take breaks, to catch their breath and also for the most difficult part—what the ninjas call the “crux” of the course. of the Academy’s youth traveling team, the “OA Dragons.” He has been training at the gym for about a year-and-a-half. “You are not going to get better if you just give up where you did last time,” Robbins said. he stays on the side of the course, cheering on his gym’s ninjas. Mason “The Golden Bear” Engnes, a youth program coordinator at Obstacle Academy, teaches young people how to become ninjas. Coaching the youth is a serious commitment for Engnes, who competes in ninja competitions himself. His workload often totals 80 to 100 hours per week, he says, but he shows no signs of slowing down. Two years ago, Engnes started to compete in National Ninja League competitions, but a torn ACL forced him into nearly a year of rehab. Now, he’s back and leading future athletes in the sport by example.